let us take your store to the next level! 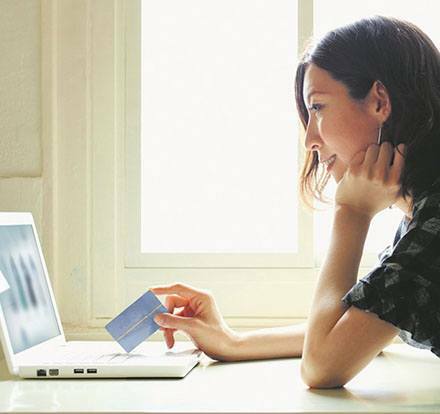 Ecommerce business is much more than just selling: it’s a wholesome experience. We design and build fully functioning ecommerce websites that include, stock and customer management, related products, customer reviews, discount codes onto SSL certificates, managed ecommerce hosting and many other features. At Sierra IT Group Co., Ltd. we are with you every step of the way. At Sierra IT Group we have carried out development of many challenging ecommerce projects which involved anything from simple adjustments, the development of modules, customizing existing features onto fully managed enterprise level ecommerce solutions. Our development process follows best practices - we therefore write our code in a completely modular approach to ensure a headache free environment. Sierra IT Group is your one-stop solution shop for all your ecommerce needs and offers comprehensive ecommerce Development Services in Bangkok, Thailand. Everybody knows that retail stores are a good business, there will always be people near you willing to buy your products or services. But a retail store is limited to a specific location. If you want to go national or even global, there are no limits to the internet. With our extensive experience we can help you design and develop end-to-end ecommerce solutions to streamline communication, automate workflow, manage high volume transactions, user management and authentication, data and content management, shopping cart applications, and payment gateway integration. Based on your unique goals and requirements, we deliver custom ecommerce solutions that you will not outgrow. You will get a stable and secure full-featured Ecommerce web solution that has all the bells and whistles you need. 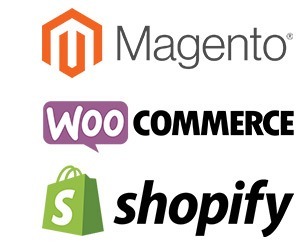 From completely custom coded shops onto Magento or Woocommerce solutions - at Sierra IT Group we offer solutions suitable for both small and large online retailers. Responsive webdesign allows your site to work on any screen or mobile resulting in a complete experience. We offer a range of off-site payment gateways. On site payments are also possible for an additional charge. From organizing sales and customers, to managing projects and creating online invoices. We have experience designing solutions that work just as hard. We will include a domain and managed hosting, but you can also use a domain that you already own if you prefer. We offer an unlimited number of pages, categories and products with our ecommerce web design package. Interested in an Ecommerce Website Package? We take a strategic approach to devise the strategies and conversions you need by focusing on architecture that drives growth. 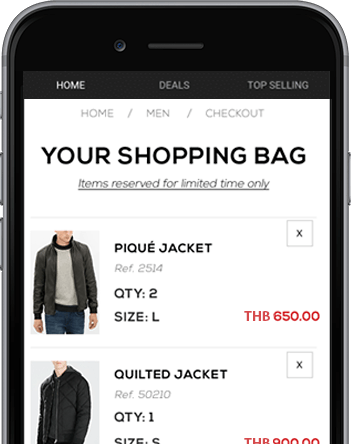 Reach your customers, even when they are on the move with easy to use and immersive mobile experiences for your eCommerce platform. Wheter you use Magento, Woocommerce or a custom coded shop, at Sierra Group we are happy to help you with your ecommerce needs. Every business is unique. We work closely with you to build a complete B2C Ecommerce experience that delivers consistent results. We specialise in building B2B eCommerce sites. We understand the complexities and subtleties of a B2B eCommerce environment. We have experience of integrating Ecommerce sites with various internal and external systems and platforms. My developer bailed on me - what can I do? Sadly this is a story we hear very often. Ecommerce solutions can be very powerful to handle, and while it was developed with the end user in mind, it still requires someone that has a solid technical background to make sure you can fully take advantage of all that it has to offer. Nobody wants to be sloppy seconds, but we’re happy to be your rebound developers in order to get your site back on track. My Ecommerce website is slow, what can I do? Do you work wih Shopify? Absolutely. Sierra IT Group Co., is one of the leading Shopify web solution providers and web developer in Bangkok and Thailand.